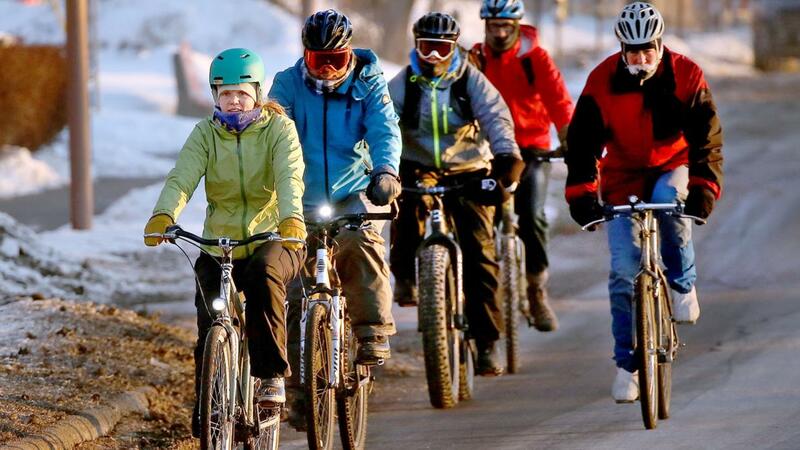 By Ruurd Schoolderman on Nov 25, 2018 at 7:30 p.m.
Duluth has been making great progress as an active outdoor-recreation community. We are well on our way toward achieving the goal of having every citizen within a mile of an access point to Duluth’s trail system. The Duluth Traverse mountain biking trail and Superior Hiking Trail string together Duluth’s many neighborhood parks. Amenities like these make Duluth an attractive city to live in and to visit and are part of the city’s overall economic-development strategy. This great investment to improve access to our green space by bike and on foot stands in contrast with the limited bike infrastructure that currently exists to safely navigate our neighborhoods and city for day-to-day active transportation. This is a missed opportunity. The Duluth-Superior Metropolitan Bikeways Plan presents a vision to change this. The plan was prepared by the Duluth-Superior Metropolitan Interstate Council, or MIC, a regional transportation-planning agency. The plan serves as a coordinating framework for the road authorities (city, county, and state) responsible for our road system. The Duluth Bike Coalition, a chapter of the statewide bike advocacy group BikeMN, advocates for improvements to Duluth’s bike infrastructure. Our mission is to work to make biking for everyday transportation easy, safe, and fun for everyone. Our current bike-transportation infrastructure for everyday transportation to work, school, and businesses does not serve users of all ages and abilities. As a result, a large portion of Duluth’s citizens which does not have access to a car or prefers not to drive is limited in transportation options. Think about low-income families, teenagers, and the many Duluthians who prefer to ride a bike as part of an active-transportation lifestyle. Duluth Bikes supports the vision presented in the Duluth-Superior Metropolitan Bikeways Plan. We ask that the roadway authorities, especially the city of Duluth’s, make a concerted commitment toward implementing this vision. We hope the city of Duluth will use this plan to proactively work to develop access to bike infrastructure for all ages and experience levels. Two open houses organized by the MIC are scheduled so the public may comment on the bike plan. They are a great opportunity for Duluth citizens to show their support for active transportation and to provide input on how they would like to see Duluth’s bike infrastructure improved. Ruurd Schoolderman is chairman of the Duluth Bike Coalition (duluthbikes.org), a chapter of the statewide bike advocacy group BikeMN (bikemn.org). Two open houses are scheduled for the public to review and to provide feedback on the draft Duluth-Superior Metropolitan Bikeways Plan. The open houses are both Wednesday — one from 11:30 a.m. to 1 p.m. and the other from 4-7 p.m. — at the Duluth Folk School, 1917 W. Superior St.
To read the bike plan, go to dsmic.org/study/dsbikeways. We are committed to seeking out and incorporating stakeholder input as a key part of our planning work. That’s where this blog comes in. We hope you will learn a bit more about what we’re recommending for transportation improvements in this area, and why. Please chime in with your comments and questions.